Income Tax Department says : "Checking the online refund status is always good. It's free and it tells you what's going on?" Please Note: Refund Status of income tax return that have been filed this year, must be updated in the Income Tax Department systems. You can check the latest status of tax refund by using this utility. Use the tool & check refund status now! *Status has been updated just now! IncomeTax Refund status arises in a financial year, when you’ve paid more tax (either by way of TDS or Advance Tax or Self-Assessment Tax) than you’re supposed to after taking into consideration all the deductions and exemptions at the time of filing of Income Tax Return. For claiming your tax refund all you need to do, is give a written proof to the Department about your Income and deduction details, by way of filing your Income Tax Return. Just make sure that you provide the details of all your income and tax deducted during the relevant year, so that the component of refund is reflected in your income tax return. 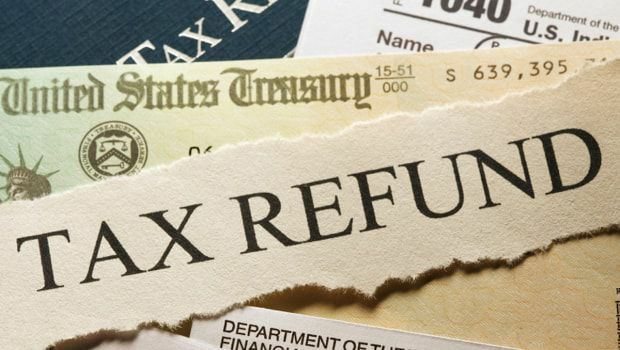 Remember, to claim your IncomeTaxRefund , online filing of the return is a must. I forgot to file my Income Tax Return, can I claim my refund now? Please note that you can file your ITR of FY 2015-16 and FY 2016-17 last by 31-03-2018, so plan your working accordingly. After filing & e-verifying your return, use our tool to check your ITR refund status. I filed my ITR with a refund but still not got refund? First make sure that you have verified your Income Tax Return because once your ITR has been verified, only then it will be further processed by the Income Tax Department. The Return has been processed after determining the refund, but refund could not be credited due to reasons like incorrect bank account number, incorrect postal address etc. Your ITR has been processed after adjusting it with outstanding demand (if any). What are the common reasons for Income Tax Refund enquiry failure? How they can be resolved? Here is a list of reasons for the failure of refund along with the resolutions. How much time does it take for refund to get credited in my Bank Account? As per the procedure, Income Tax Department processes the refund only after you have filed and verified the Income Tax Return. Generally, it takes 20-45 days from the date of e-verification of your Income Tax Return to get your refund credited. However, for the returns, verified through sending of ITR-V to CPC Bengaluru, it may take some more time. For how many previous years can I claim income tax refund? Income Tax Return Filing is the prerequisite for getting Income Tax Refund. Income Tax Department gives you freedom to file previous two years’ return i.e. as of now, you can file return of F.Y. 2015-16 and F.Y. 2016-17. But, if you have refund due for the years preceding the aforesaid year and you forgot to file income tax return for those years, then you can take respite of CBDT Circular No: 9/2015 to get a refund for previous six assessment years. So, as per this provision, you can claim refund for assessment year-2011-12; 2012-13; 2013-14; 2014-15; 2015-16; 2016-17. This circular can be used only where; your refunds is the result of the excessive deduction/collection of tax and/or excess deposit of advance /self-assessment tax. For taking benefit of the above circular, you need to make an application to the relevant authority depending upon the amount of refund. Note: These authorities have all the powers to make necessary inquiries or scrutinize to ascertain the correctness of the claim and accept/ reject your application. Also , in this case Income Tax department shall not pay any interest on the delayed refunds. What to understand from different common Refund Status’? You have either not filed your return or filed manually. 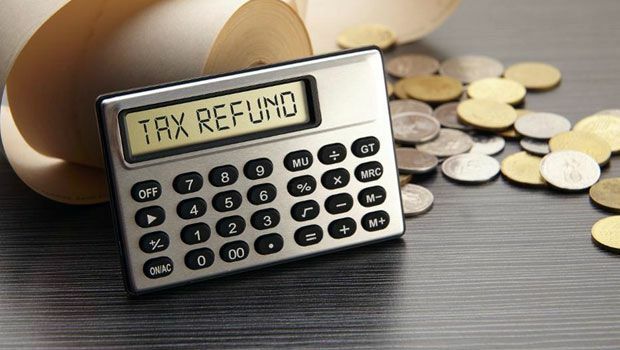 To be eligible for a refund, you are required to file your return online as the returns filed manually are not qualified for a refund from F.Y. 2014-15. Refund cheque has already been encashed. Your income tax refund process is complete & it has been credited to your Bank Account and the same has been encashed. Your Income Tax Return status is still under process at the Income Tax Department’s end. Just wait for some days and check income tax refund status again. This means that the account number provided by you was incorrect. You are requested to apply for refund reissue by providing the correct account number to claim your refund. It may be that your return has been treated as the defective Return. For exact reason, you can check this in your income tax website user account. It may occur due to mismatch in the calculation of department & us. For this you may receive intimation from the department to submit once again your calculation sheet. Return submitted. Processing rights transferred to Jurisdiction Assessing Officer. Need help from Expert CA ? Click here. It implies that your return has been submitted successfully but it has not been e-verified either through post or online mode. Further, until and unless you verify your return, it would not be processed by the income tax department. So, please verify within 120 daysfrom the date of filing. It implies that your return has been processed successfully without any additional tax payable or refund due. Further, you can check the details from the intimation received u/s 143(1) on your mail id. It implies that your Income has been assessed by Income tax department from your filed ITR and tax payable amount has been determined upon it. You can check the details from the intimation received u/s 143(1) on your mail id. In that case you need to submit the response through E-Filing website under “efile tab” -> “Response to outstanding tax demand”. Need help from Expert CA? Click here. Return Processed. Refund determined and sent to Refund Banker. It implies your refund claim has been forwarded to the refund banker for processing. So, wait for some more days and the refund amount will be credited in the bank account mentioned by you at the time of filing the return. It implies that income tax department has sent refund to you but either your address is wrong or bank details provided are incorrect, due to which refund was not processed. In that case you need to place a refund reissue request stating the failure reason under “My Account” -> Service -> “Refund reissue request”. It implies that your return has been filed successfully and it is digitally signed. It implies that your Income-tax Return is still not processed. Further, no need to worry if you have e-verified or sent your ITR V by post then definitely it would be processed by the department sooner or later and whenever you will receive the refund , it would be credited along with interest. Congratulations ! It implies that your return as well as refund has been processed successfully and refund has been credited in your bank account. Now, no further action is needed from your side for this year. It implies that your return has been submitted and successfully verified, now it shall be processed by the income tax department. So, you have to wait for some more days. It implies that your return has been treated as Invalid return by the Income Tax Department. You need to file your return again in this case. It implies that your return has been processed, however, for rectification, you need to contact Assessing Officer as the rectification rights have been transferred by CPC. So, instead of the online route, you have to submit your rectification request to your local AO directly. For more information/ query, please feel free to call us at +91 9660996655 or write to us [email protected] and our expert CAs will be happy to assist you. If any previous amount outstanding by the department, then the department will adjust the amount you owed in the current year’s refund. But before adjusting that amount they will send you a notice u/s 245, stating that they are adjusting your refund with the previous years' outstanding amount. You have to submit your response to it that whether you agree with department or not. If the response is not submitted timely then department adjust the demand and processed the return after adjusting the demand. For more information/ query, please feel free to call us at +91 9660996655 or write to us [email protected] and our expert CAs will be happy to assist you. Can any other person get my refund? When your income is included in any other person’s income (as per provisions of the law), then the latter can get your refunds. In case of death, incapacity, insolvency, liquidation or any other reason when you are unable to claim/receive refund, then your legal representative or trustee or guardian shall be entitled to your refund. What are the different ways in which refund is issued by the Department? RTGS/NECS: This is the fastest facility provided by the department to get refunds. Under this facility you refund is directly credited in your Bank Account. Paper Cheque: Under this facility the department sends account payee cheque to you. This is comparatively time consuming. Will I also get any interest for the delayed refund? In the case of refund arising out of TDS / TCS / Advance Tax – Interest is calculated @0.5% for every month or part of a month for a period starting on 1st April of relevant AY till the date of grant of refund in case the return is filed in time. However, if the return is not filed within the due date the period of interest shall be from the date of filing the return to the date of grant of refund. In case of variation in the amount of refund – Where, as a result of an order u/s 143(3) / 144 / 147 / 154 / 155 / 250 / 254 / 260 / 262 / 264 or an order of the Settlement Commission u/s 245D (4), the amount of refund payable has been increased or reduced, then the amount of interest shall be increased or reduced accordingly. The assessing office may issue a demand notice for recovery of excess interest paid. In any other case – Interest is calculated @0.5% for every month or part of a month for a period from the date of payment of tax to the date of grant of refund. The Income Tax Officer may issue a demand notice for recovery of excess interest paid. In case, any refund arises out of Income Tax Appeal, then you are entitled to additional interest over and above the one specified earlier, for delay beyond the time prescribed by the department (3 months from the end of the month in which the appellate order is received by the CIT) @ 3 percent per annum for the period beginning from expiry of prescribed period till the income tax refund date. When & How to apply for Refund Reissue? First verify your Income Tax Return, then track your status of income tax refund with the department. In case, you have still not received your refund then one of the reason of ITR refund delay could be due to problem in your bank account or address details. In such a situation, you can make a request for refund reissue to the Income Tax Department but only after receiving an "Intimation"
Step 2: Log in with your PAN and password. Step 3: After logging in, click on My Account tab and in the drop down select Service Request, then under request type select new request and afterwards select refund reissue under the Request Category. 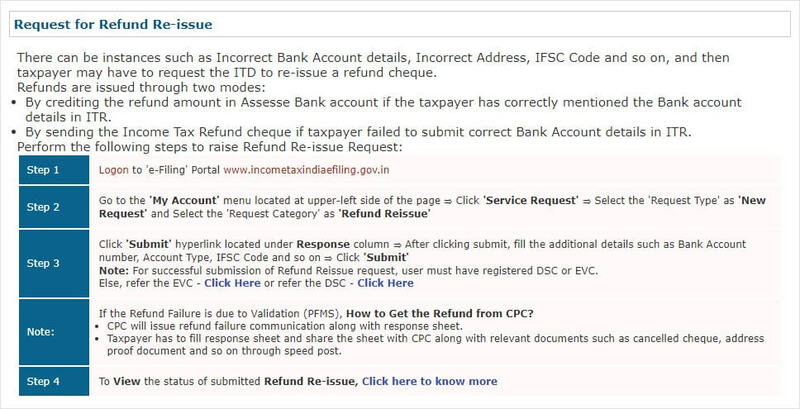 Step 5: For successful submission of Refund Reissue request, user must have registered DSC or EVC. ( User must require to authenticate the refund reissue request through through Aadhaar OTP & EVC code. ECS Mode: You are required to verify the Bank Account Details or can even update by selecting the option” Do you want to update the Bank Account Details "Yes" Enter Bank Account Number, Type of Account & IFSC code. Paper Mode: You are required to verify, change or update the Address Details, where you want the cheque to be delivered. You can select your address from the Category. The changes made by you, in the bank/address details will be automatically updated in the centralized TIN database, and your refund amount will be reissued to you as per your updated records. 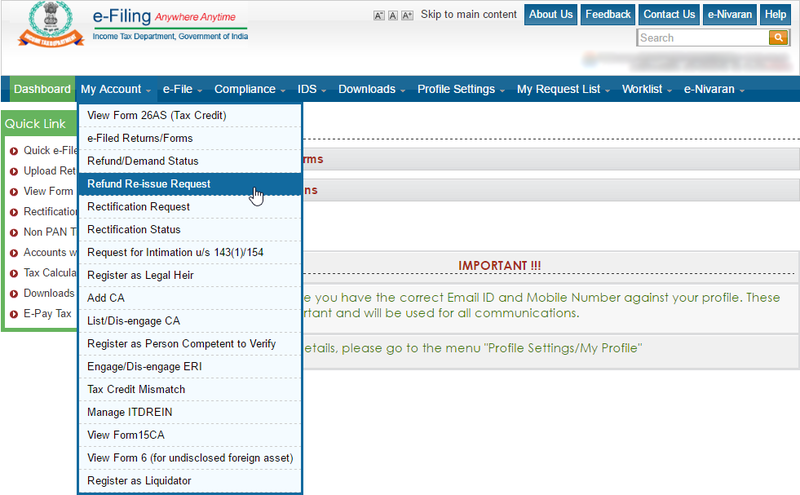 How to update Address/Email id/Mobile number for all communications with the Income Tax Department? 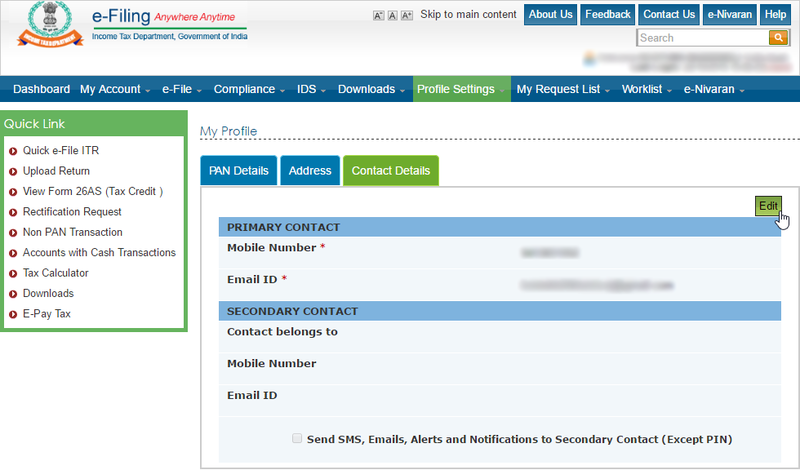 Step 5: Contact details updated through OTP verification Received on Mail ID & Mobile No. Where Is My Refund? Are you unable to understand why you have still not received your Income Tax Refund even after filing your Income Tax Return on time? What is Income Tax Return? If your income exceeds the basic exemption limit before deductions in the financial year then you are required to file Income Tax Return.